Made to withstand the rigors of regular use, the DutyPro™ Adjustable Sam Browne Belt updates classic design with modern materials. Engineered from lightweight and easy-to-clean nylon. 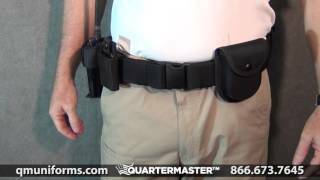 The Duty Pro belt is a great duty, It could easily be adjusted and feels good. Reliable and sturdy at a great price!